Have you ever raised a cup to your mouth only to find it smelling like soap? Ugh! I’ve been experiencing this many times at home already and I’ve been wanting to change our dishwashing liquid (or the one who washes the dishes) because of it. Thank goodness that I’ve found Bubble Man Dishwashing Liquid because it sure is harder to replace the one who washes! 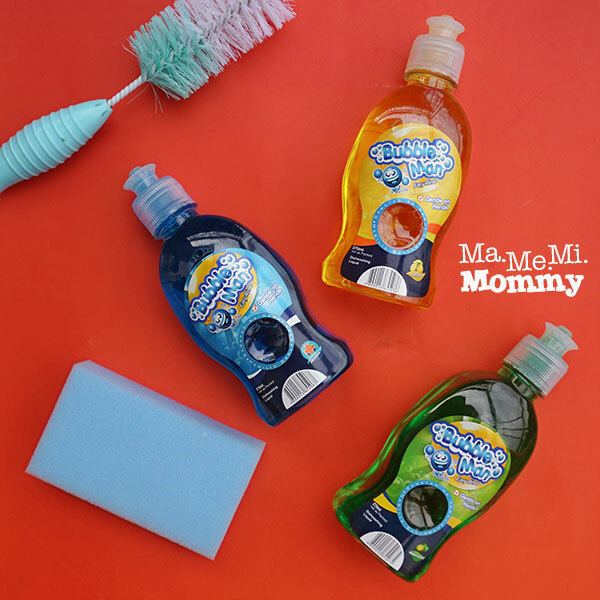 Bubble Man, a Filipino-made dishwashing liquid, comes in these three variants, Lemon (yellow), Kalamansi (green), and Anti-Bac (blue). I gave it a try and I must say that I am happy with it. I haven’t had a cup/plate with a strong soapy smell since we’ve changed. Yey! Here’s more of my review about it. In terms of consistency, the liquid is like any commercial dishwashing liquid out in the market. I poured a drop into a sponge and worked up a lather. It did not produce a lot of foam even after much squishing, which made me a bit skeptical. I gave it a try on a greasy bowl (as in really oily!) and lo and behold, it was able to clean it properly! And I did it in just one go, no retakes. Wow! Rinsing was even easier because it’s not like others where the soap is hard to come off. The bottle label also says that it’s biodegradable as it uses coco derived ingredients. 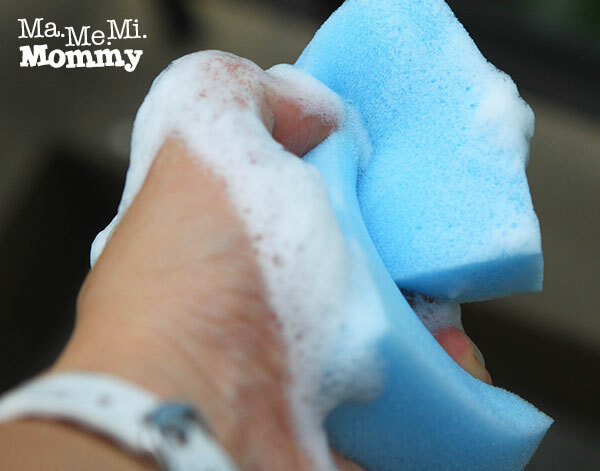 Apart from that, its formula is also gentle on the hands, which is why I didn’t mind it when this boy started playing with the soapy sponge a few moments after I left it. These are available in your local supermarkets already. Check them out at these very affordable prices. They also have promo packs, which make them more affordable. For more information, you may check out their Facebook page. I love that this product is affordable and has garnered good reviews from several bloggers! Shared this with my sister already before in case she knows people who are interested. Thank you very much! I’ve been having the same problem with our dishwashing liquid! Will definitely try this out! This is affordable compared to leading brand and it is nice to know that it can easily remove greases. I’ve been hearing a lot of good things about Bubble Man ha. We still have a litre of our current dishwashing liquid, but I’ll surely try Bubble Man when we run out! I haven’t seen this in the grocery yet the last time I made my grocery run. I want to try since I’ve been reading good reviews about this. Hopefully I will be able to get my hands on this one the next time. Ang cute ng name ng dishwashing liquid ha! Bubbleman! It sounds more like a kid’s toy than a product haha. So glad it’s kid-safe too! Kaycee Enerva recently posted…KIMY Choco Popstar – A Popsicle with a POPPING Surprise! Yes, that happened a lot of times. Our glass still has the smell of soap. When we had our grocery last month, i got a promo pack of Bubbleman to try the product. I am happy with my discovery. Love the smell and the consistency of Bubbleman. If there is something i just dont like, it’s the plastic container. It is too malambot but nonetheless, still love Bubbleman. Before everything else, I would like to commend you for the wonderful shots! I’ve noticed your photography skills since last year pa, sis. I wish I can be better at photography as well. And re: bubble man, I haven’t really tried this yet, I hope it’s available at our local supermarket soon. I’m glad that there are now a lot of products made of all-natural ingredients that aren’t really costly. Using eco-friendly products is one way we help save the environment. We also use Bubble Man at home whenever I cant find the brand we use. And because I could only buy our preferred dishwashing liquid at bazaars, I then got used to buying.Bubble Man instead. I love its plastic container as you could have a nice grip of it. It has a small “dimple” where you could rest your thumb as you use it. 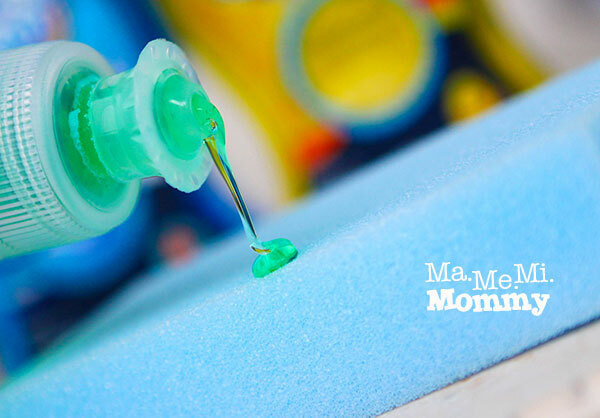 It can also easily remove stain and is super gentle on the hands. Love the blur variant the most.